It Features coverage of recent code changes, including AIC, ASTM, and NDS for Wood Structures, and current EPA and OSHA regulations, plus expanded information on design build delivery systems and increased coverage of stormwater runoff. There is also new information on three-dimensional modeling of pile groups, cracking in high strength steel beams, intelligent transportation, and various types of wharf designs. Coverage encompasses fundamentals of civil engineering and the latest changes in design, construction, materials, and equipment in 23 different disciplines including systems design, geotechnical engineering, and community and regional planning. 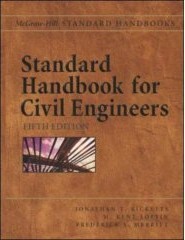 This Handbook of Civil Engineering Calculations covers over 500 key calculations that show you exactly how to compute the desired values for a particular design-going quickly from data to finished result. Using both customary and SI units, this comprehensive engineer's must-have resource is exactly what you need to solve the civil engineering problems that come your way. From structural steel to reinforced concrete, from bridges and dams to highways and roads, lets you handle all of these design calculations quickly-and more importantly, correctly. Risk and Reliability Analysis: A Handbook for Civil and Environmental Engineers presents key concepts of risk and reliability that apply to a wide array of problems in civil and environmental engineering. The authors begin with an overview of the art of making decisions in the presence of uncertainty and then explain the fundamentals of probability that will be applied throughout the book. Ample illustrations and detailed real-life examples make Risk and Reliability Analysis essential reading for present and future engineers in the fields of civil, environmental, biological, and agricultural engineering, as well as the watershed sciences. The ultimate field companion for construction professionals. It covers: Earthworks and landscaping, Drainage, sewers, and irrigation, Temperature, area, and time measurement, Map and surveyor information, Worldwide weather data, Metric conversions and much more. Presents all of the formulas and calculations you need most when working on-site. Provides fast access to the information you want, when you want it. Invaluable for all areas of general site construction, it gives you fasr access to the information you want when you want it complete with practical examples. The Earthquake Engineering Handbook is a comprehensive resource that covers the spectrum of topics relevant to designing for and mitigating earthquakes. In it, international experts present engineering practices, research, and developments in North America, Europe, and the Pacific Rim countries. The emphasis is on professional applications, with discussion ranging from basic dynamics and geoscience to new technologies intended to avoid rather than resist the forces of earthquakes. Formulas, tables, and illustrations give immediate answers to questions arising in practice, and summaries of the essential elements of each topic paint a global picture from which readers can develop understanding and the ability to think beyond the results presented. Compiles all the data necessary for efficient and cost-effective highway design, building, rehabilitation, and maintenance. Includes metric units and the latest AASHTO design codes. It includes latest techniques for designing, building, rehabilitating and maintaining highways. You'll see how to apply modern technology--and how to capitalize on state-of-the-art materials--to successfully deal with every major aspect of highway engineering: Environmental issues; Highway location, design, and traffic; Design and construction of subgrade and base course; Pavements; Bridge engineering; Culvers, drainage, and short span bridge repalcement; Safety systems; Retaining walls; Lighting, marking, and signing; Sound barriers and glare screens; Life cycle cost and value engineering. The support you need to build high-quality temporary structures. All the technical, business, and legal know-how you need to build and maintain 17 different temporary support and access structures has been gathered in one convenient problem-solver. In the completely revised Second Edition of the Handbook of Temporary Structures in Construction, Robert Ratay and a team of experts provide you with full coverage of the latest construction materials and methods, different contracting techniques, new codes and standards, new dispute resolution procedures, tested cost controls, using temporary structures in repair and rehab work, OSHA updates on construction site safety and much more. Provides you with the quality assurance plan - a systematic outline of all the procedures you must perform to evaluate project quality. Shows how the QA plan is correlated with codes and standards. It includes specifically Total Quality Management, ISO 9000, and quality control. The Codes and Standards Section, Contract Documents, and Legal Documents Sections have also been extensively updated. 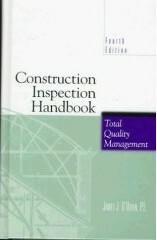 Construction Inspection Handbook systematically reinstates the importance of quality by providing you with a comprehensive quality assurance plan. 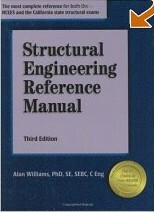 A complete reference that gives concise, information on the planning, design, and construction of a variety of engineered structures and includes practical examples and detailed descriptions of design procedures. It includes current standard specifications and codes (including the 1994 AASHTO specifications) and the latest design developments. Concise, practical and user-friendly, this one-of-a-kind resource gives you not only up-to-the-minute information on the planning, design, and construction of a variety of engineered structures, but also practical examples and detailed descriptions of design procedures. The definitive reference on water resources management and issues WATER RESOURCES HANDBOOK. Areas covered include: Treatises on the state of the art in water resource economics and law policy-making and planning, and system analysis and risk analysis; Quality management of natural systems such as lakes, reservoirs, rivers, groundwater, estuaries, and wetlands; Water supply systems, including surface and groundwater, treatment and distribution, wastewater collection and treatment, water reuse, and water demand analysis; Water excess management, including floodplain hydrology and hydraulics, urban stormwater, and flood control systems; The Future impact of global climate change, water resources deficit management, decision support systems, and more. This Wide-ranging reference book encapsulates every aspect of civil engineering-from structural design soil mechanics, sewage disposal, and statistics to hydraulics and land surveys - and related areas such as mining, and electrical and mechanical engineering. It includes material on quantity surverying and contract terms. 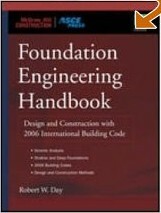 This practical resource offers complete coverage of foundation engineering, emphasizing the geotechnical aspects and the use of the 2006 International Building Code. Foundation Engineering Handbook explains how to develop a complete program of foundation investigation, conduct geotechnical field and laboratory studies, and analyze data for the design of foundations. Evaluating construction and preparing foundation engineering reports is also covered. It includes: Soil mechanics, Field testing, Earth slope stability evaluation, Seismic analysis, 2006 International Building Code and much more. 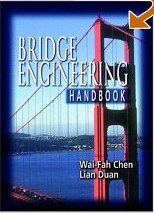 An international team of experts has joined forces to produce the Bridge Engineering Handbook. They address all facets-the planning, design, inspection, construction, and maintenance of a variety of bridge structures-creating a must-have resource for every bridge engineer. This unique, comprehensive reference provides the means to review standard practices and keep abreast of new developments and state-of-the-art practices. An abundance of worked-out examples give readers step-by-step design procedures and the section on Worldwide Practice provides a broad and valuable perspective on the big picture of bridge engineering. This well established text provides a succinct introduction to the theory of civil engineering hydraulics, together with a large number of worked examples and exercise problems with answers, to help readers assess their understanding of the theory and methods of analysis and design. It includes hydraulic structures and an expanded section on the gradient method for pipe networks design. This first/second year textbook provides a succinct introduction to the theory of civil engineering hydraulics, together with a large number of worked examples and exercise problems with answers. 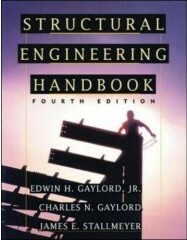 The revised edition features a new chapter on some basic hydraulic structures and an expanded section on pipe networks design, with some more worked examples. 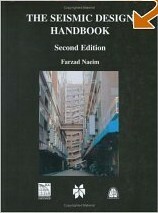 This unique handbook compiles essential information on the theory, regulation, analysis, and design for the construction of seismically safe structures throughout the world in one comprehensive volume. Experienced engineers from thirty-four countries present their national seismic codes and demonstrate their application with quantitative examples. Seismic codes of seismically active countries are included, from Mexico to Italy to Egypt to India. Each chapter details a country's geography and geology; history of recent significant earthquakes; and the socioeconomic context of the seismic code and its implementation. 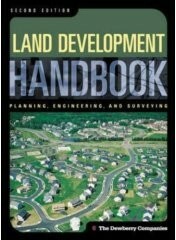 Land Development Handbook includes six sections: feasibility and site analysis, conceptual design, schematic design, final design, plan submission and permitting, and construction. The engineering perspective is dominant, and the book's brief mentions of smart growth and new ways of designing feel largely extraneous to the business at hand. It includes suburban street design devotes two pages to pedestrians, and the list of suggested readings in the chapter on development patterns and principles. The engineering perspective is dominant, and the book's brief mentions of smart growth and new ways of designing feel largely extraneous to the business at hand. 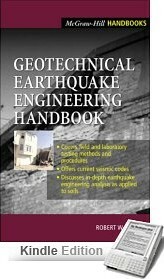 Written by Robert Day, one of the most respected names in the field, Geotechnical Earthquake Engineering Handbook is a one-stop resource that gives you instant access. Provides in-depth earthquake engineering analysis as applied to soils. Includes worked-out problems illustrating earthquake analyses and current seismic codes. 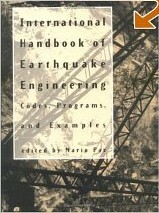 Specifically devoted to seismology, geotechnical engineering basics, earthquake analysis, and site improvement methods. It gives you instant access to: Field and laboratory testing methods and procedures Current seismic codes Site improvement methods, In-depth earthquake engineering analysis as applied to soils, Subsurface exploration data, Fundamental geotechnical engineering principles and much more. A complete guide to the design of earthquake resistant structures, with up-to-date information on planning, analysis and design. Provides engineers, architects, developers and other professionals with a bridge between theories and concepts of seismic design and their implementation. Its intention is to provide engineers, architects, developers, and students of structural engineering and architecture with authoritative, yet practical, design information. It bridges the gap between advances in the theories and concepts of seismic design and their implementation in practice..